Ginger has also proven to be effective in other ways as well, like morning sickness, general nausea after a surgery and even chemo-induced nausea for cancer patients. Some other wonderful remedies that ginger provides? Remedies for asthma, arthritis, cholesterol problems, migraine and even heart attack prevention! In knowing that this underground stem has so many health benefits makes me appreciate it even more in everyday foods as well. 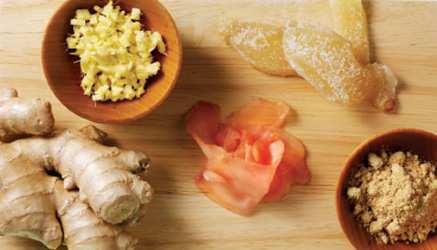 Ginger goes well with such spices as cardamom, cumin turmeric, star anise, chile and many more!